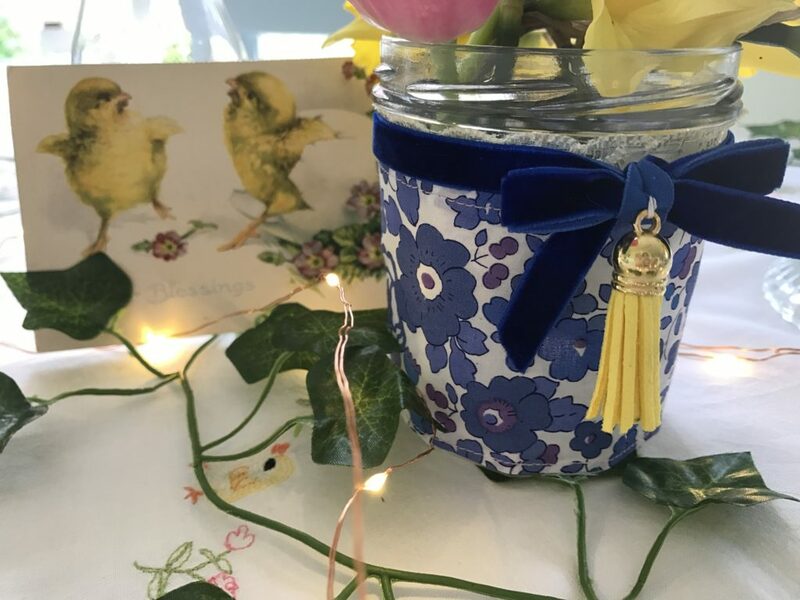 I have a stash of Liberty fabrics which is usually used for making hair bows or adding collars etc onto my granddaughter Lydia’s gorgeous little cardigans etc but I thought I’d make some little jars this year to put candles of flowers in. 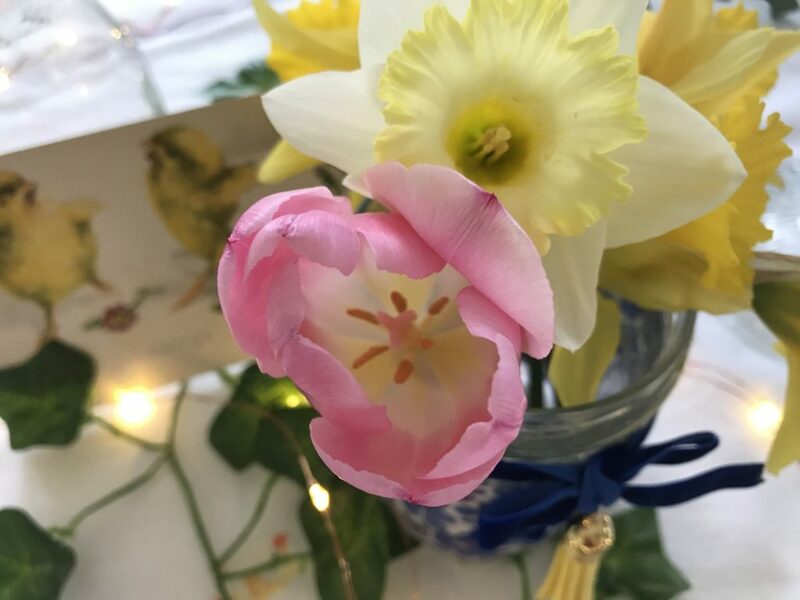 Spring is definitely the perfect season to bring out the florals with the birds tweeting away in the garden and the nights getting lighter! 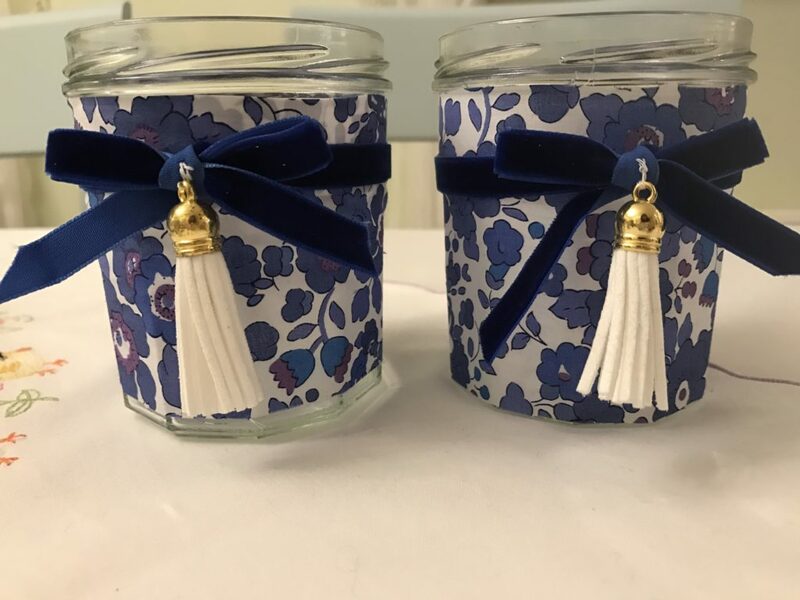 I’ve made different variations of these little jars many times for parties & weddings and I’ve taken step by step pics here to let you see how I made these ones. 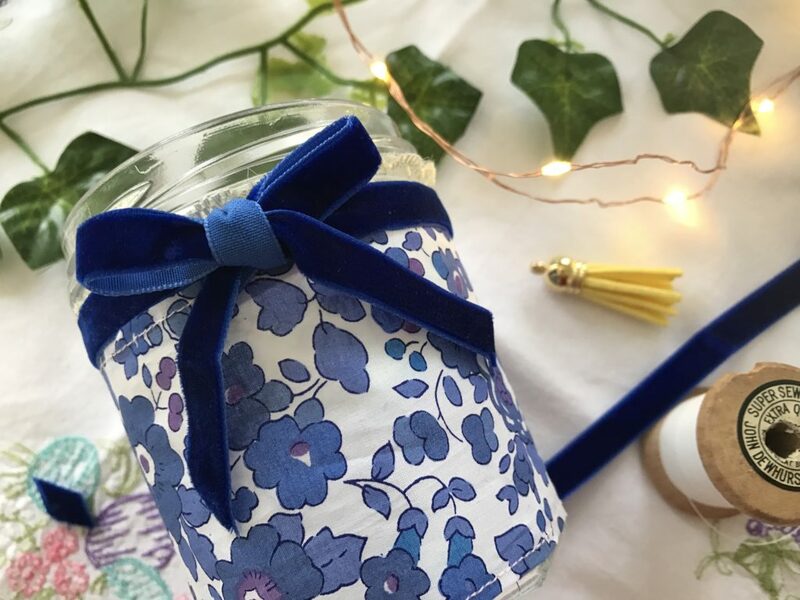 Start off by cutting a strip of fabric the same size as your jar. 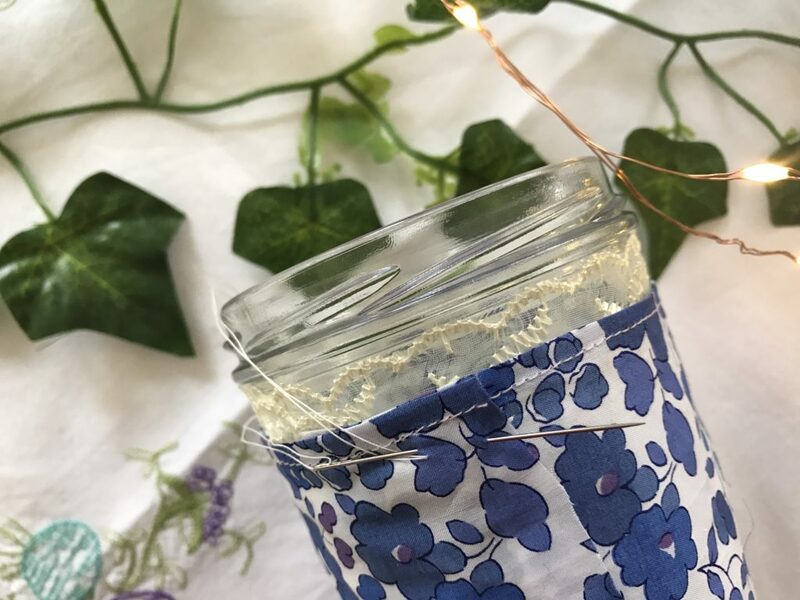 You can hem it if you wish using a sewing machine but it’s definitely not necessary. 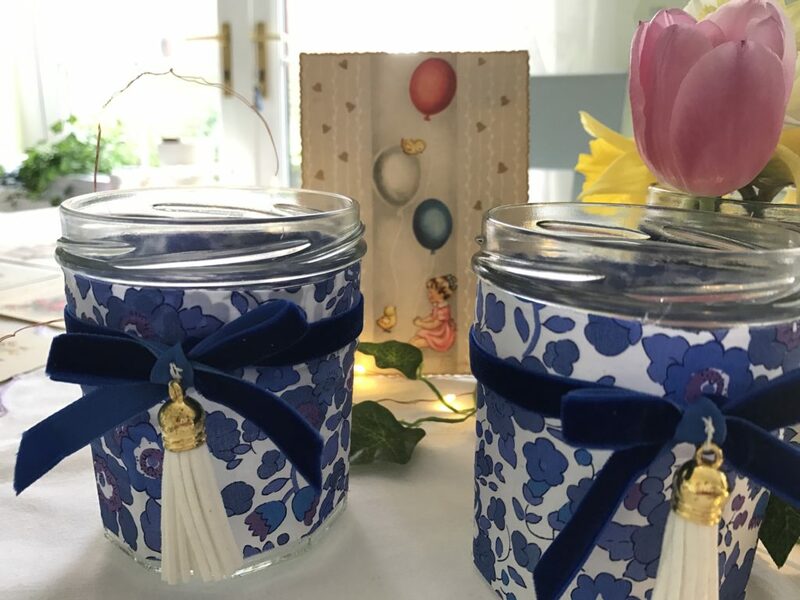 It’s much easier to use a jar which is the same size all the way down but here I used Bonne Maman jars as it’s what I had in the cupboard. 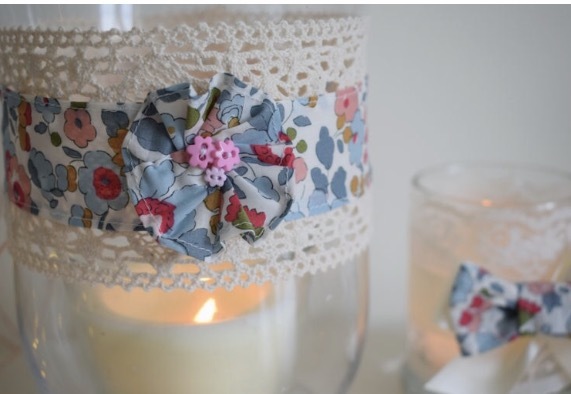 I don’t use glue as I find it can look a bit messy but you can definitely use it if preferred. 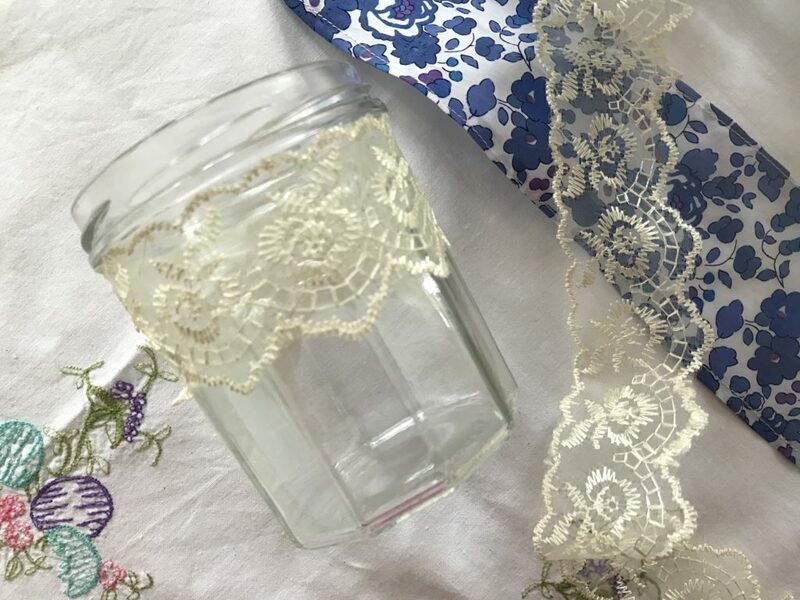 As lace is more stretchy than fabric I put a little strip round the jar by pulling it tightly, holding in place and stitching it. 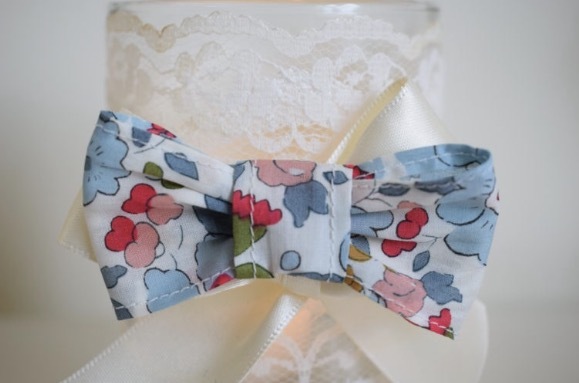 This then gives a base to which you can stitch the fabric onto making it a bit easier. 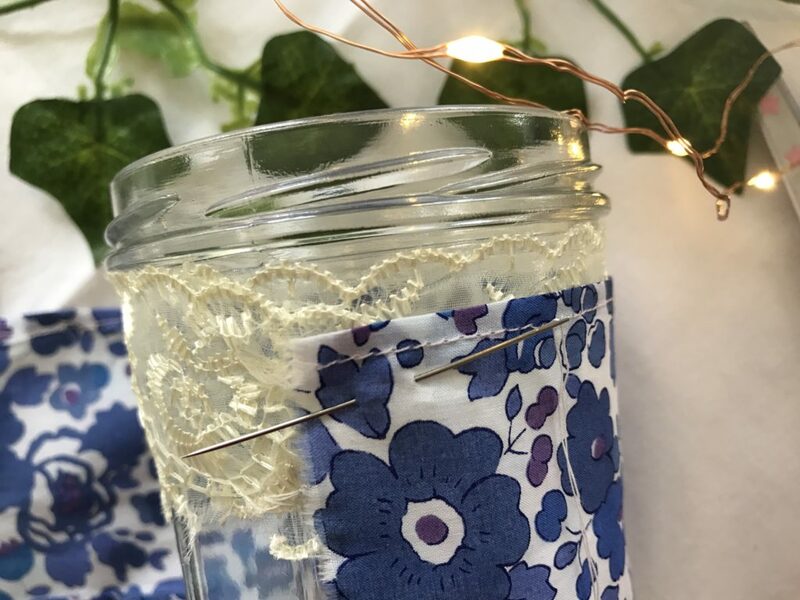 Of course you can do it without the lace especially if you’re using a jar which is smooth and the same size all the way down. 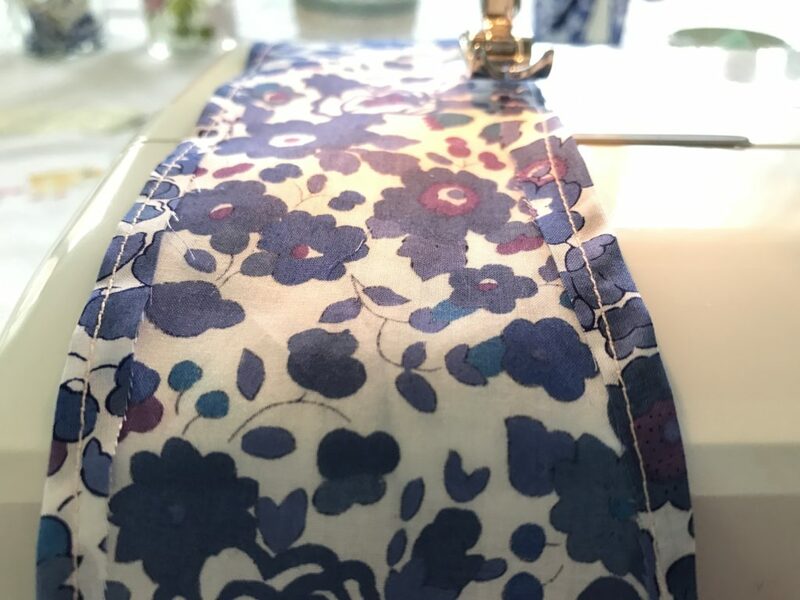 Just make sure to pull the fabric tightly and hold in place whilst hand stitching into place. 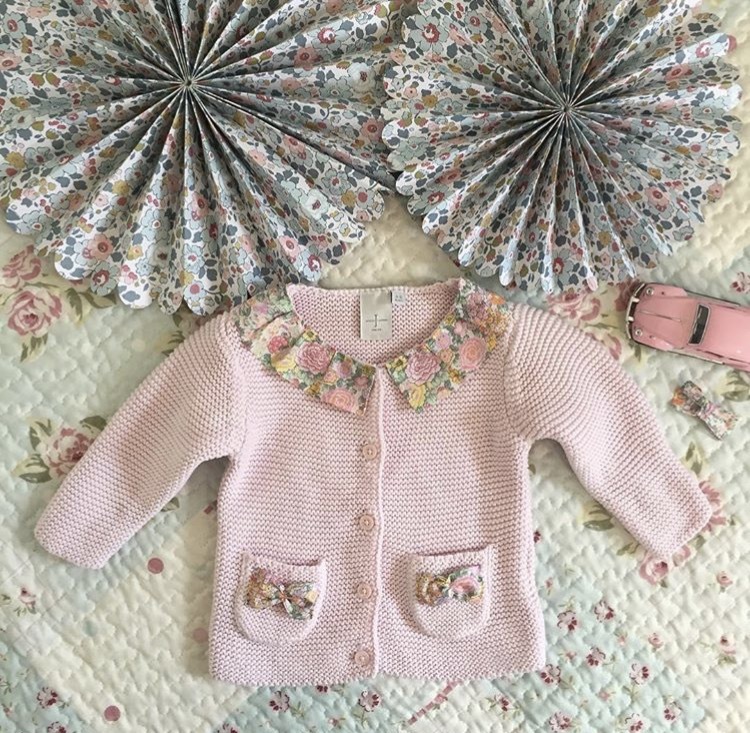 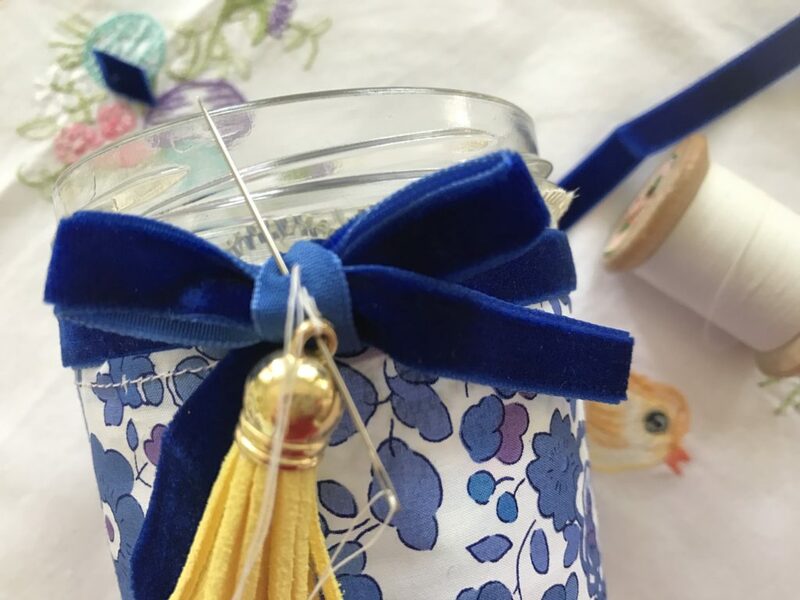 Once you’ve stitched the fabric and your jar is covered you can then decorate it with ribbons and embellishments such as little brooches or buttons. 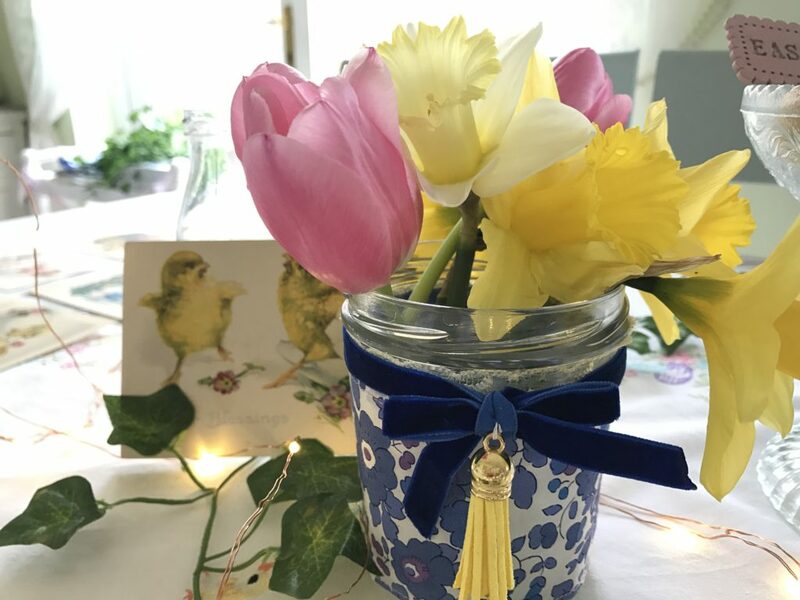 I found these gorgeous little tassels in a craft store and thought they’d be perfect for something different. 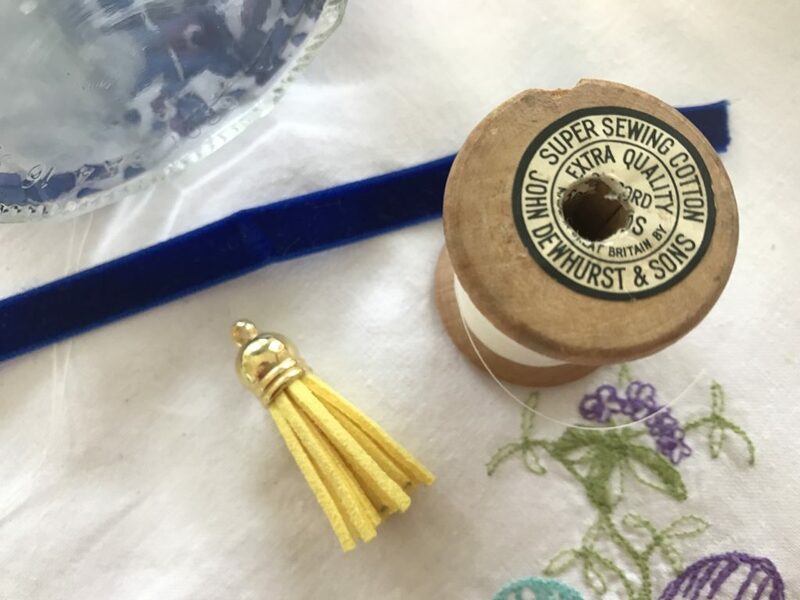 I tied some blue velvet ribbon round into a little bow and then put a stitch in the middle of the bow to attach the tassel onto. 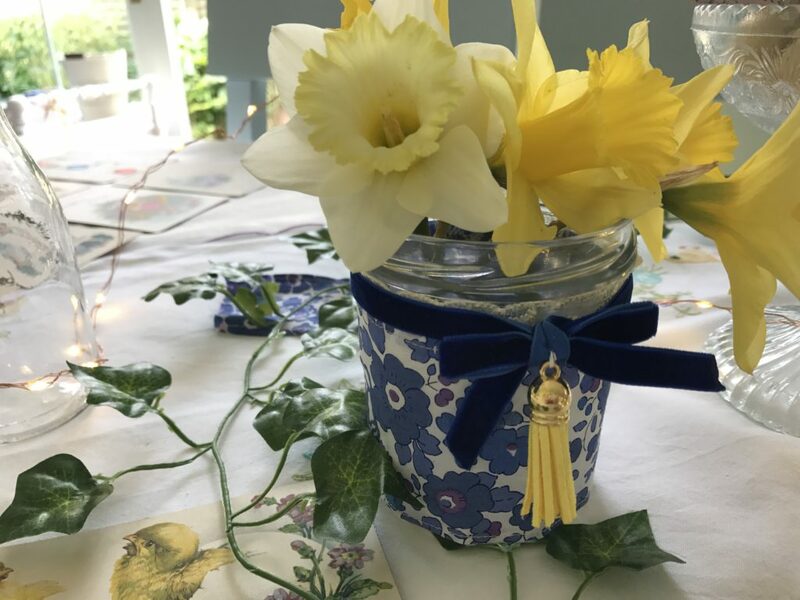 The end result is very pretty and perfect for popping some spring flowers into and using as table decor for a party or on your Easter table.